Random House Books for Young Readers, 9780375857089, 40pp. Meet a flamingo of a different stripe! “Mama, why are we pink?” asks an ever-curious young flamingo named Sylvie. 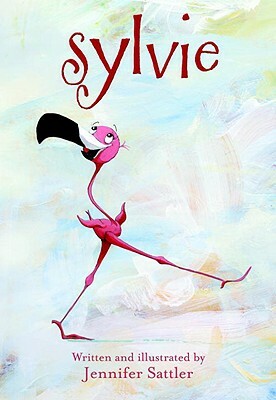 Like Leo Lionni’s chameleon in A Color of His Own, Sylvie comes to learn that being yourself is the best thing to be. When she learns that it’s due to the little pink brine shrimp they eat, Sylvie takes the maxim “You are what you eat!” to a whole new level. Her new diet leads to some very interesting new looks—from scarlet to stripey to positively purple! Jennifer Sattler’s expressive watercolors bring Sylvie and her sunny environment and creative outlook to life. This is Jennifer’s first picture book for Random House Children’s Books. She has taught painting and drawing and exhibited extensively, winning an NEA grant in 1996. She is now a full-time mom living in Greenfield, New York.